1936 Ford had a manual vacuum Columbia Two Speed rear end but in 1946, the Columbia Two Speed Axle was controlled by an electric solenoid vacuum switch. The Columbia Two Speed Rear End gave the Flathead Fords in the 1930's and 1940's nearly a one third taller gear ratio to the tire. 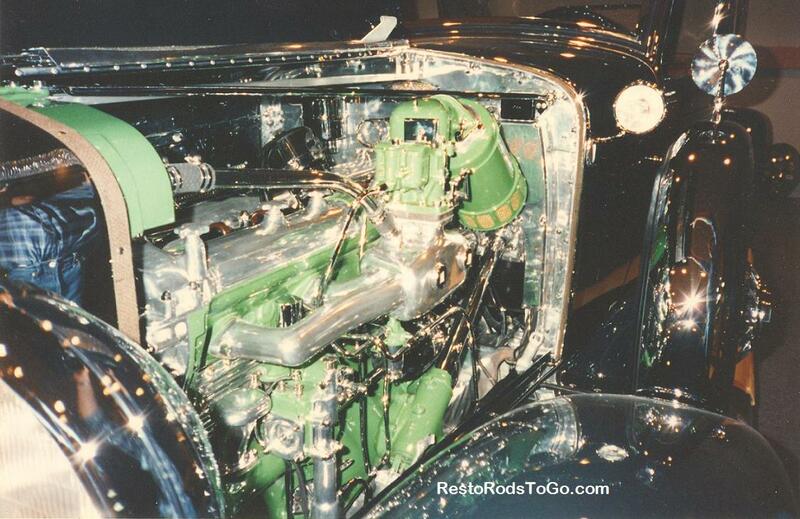 In the 1936 Ford Cabriolet that I built into a 1958 style hot rod, I used a combination of systems to accomplish my goal. 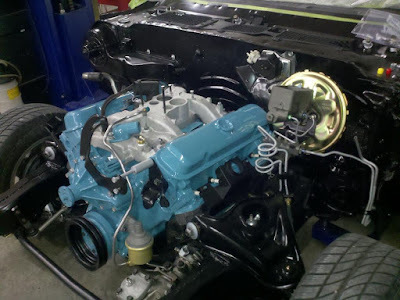 I wanted to give my client a nice operating, period correct Columbia Two Speed in the rear end of the 1957 Fuel Injected Corvette 283 powered, 1936 Ford. 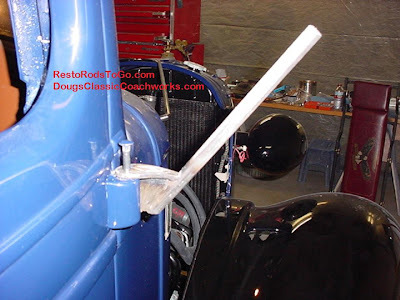 I equipped the hot rod with a 1940 Ford Dash and used a cigar lighter housing and an original style 1940 Ford choke knob with the flat rod. I made a round piece that fit into the lighter housing and put a slot in it and in the end of the housing so that the flat rod would slide with some sort of stability. I fastened a three position toggle switch on an L shaped bracket on the back end of the lighter housing and drilled a hole in the slide rod of the choke knob in the correct position so that the toggle switch fit into the hole. Now what looks like a choke knob is actually a three position neutral return switch. The C for choke now is C for Columbia. By pushing the, now Columbia switch in, it completes a circuit and likewise when you pull it out. It springs back to center, or to the neutral position. The Columbia Two Speed Rear End should not be shifted, unless the clutch is all the way in. I took a brake light switch apart and reversed the contact points so that when it is depressed, it completes a circuit instead of completing the circuit when it is released as original operation. 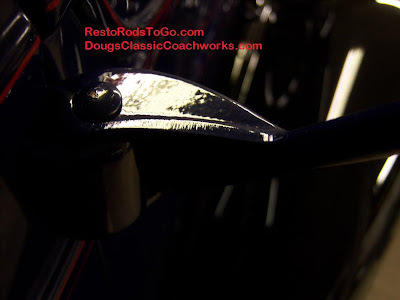 I mounted that switch on the frame so that the 1939 Ford Clutch pedal arm would activate the switch and complete the circuit when completely depressed. I reduced the voltage from 12 to 6 volts for the electromagnetic solenoids for the 1946 Ford Columbia Two Speed vacuum shift control. Now I had all the components to make the system complete. 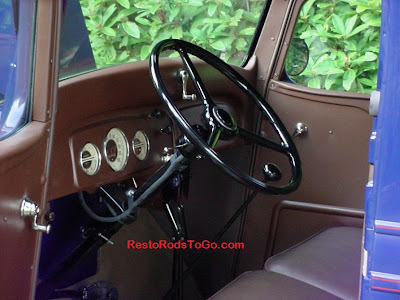 One more thing I did though is route the power through period correct 12 volt Delco relays which are switched by the original NOS Hurd keyed ignition switch and again with the tweaked brake light switch and the three position toggle switch. I almost forgot one more detail. 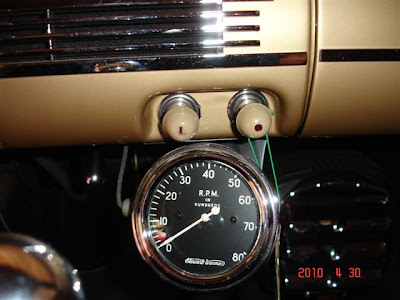 The electromagnetic solenoid-vacuum switch that sends the vacuum to the rear to make the actual shift, also shifts a little speedometer cable, two speed transmission so that the speedometer reads correctly when you shift from low to high and back, automatically. I added a picture of the other switches. One is to switch the 1950's electric fuel pump and the others are dash lights and cigar lighter. 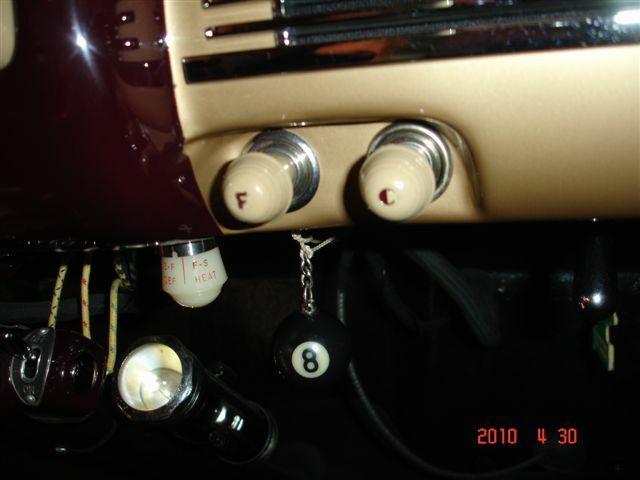 Notice the original 1940 heater switch on the underside of the dash and the 8 ball that controls the original NOS Yoder Wolf Whistle. All the knobs have original 36 bezels with a custom stainless ring in the middle. When we started the restoration on this 1971 Pontiac Trans AM, big block 4 speed muscle car, we didn't realize how bad it had been cobbled up in it's previous life. I know it's not politically correct to profile, but I think this car was rebuilt by what's sometimes referred to as curbside auto body. It other words the guys that did what they did to this poor car, likely had all their equipment in a beat up old pickup truck, and performed the butchery in a previous owners driveway. 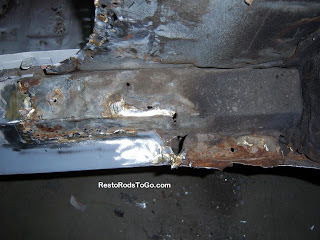 We actually knew that the quarter needed replacing because the evidence of pop rivets and brazing was visible from inside the trunk. 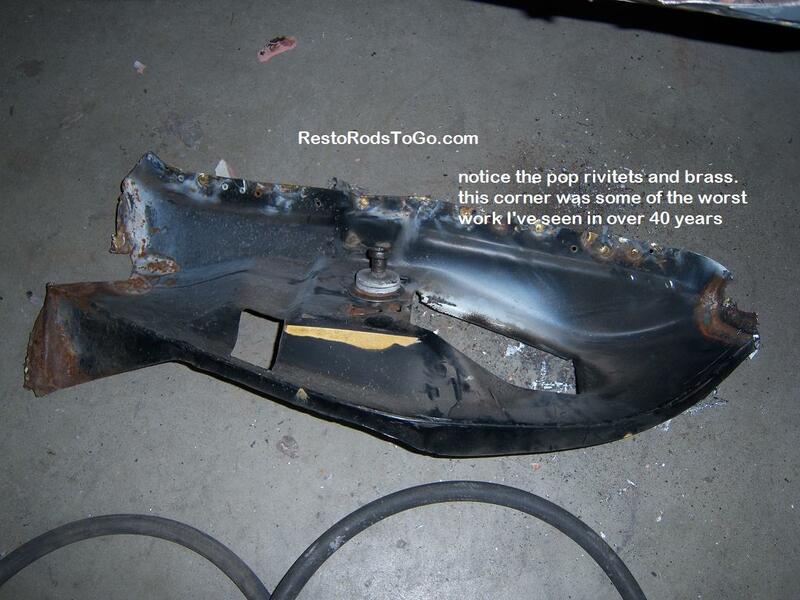 It was only after the interior, and outer quarter panel was removed, that we realized we'd need to find a complete corner section with a portion of the rocker panel and part of the rear tray behind the seat. After removing all the destroyed metal and stretching the body back out into proper alignment, we began the process of rebuilding. I have seen a lot of shoddy work in my 40 plus year career in body restoration, but I have to say this was probably the worst. 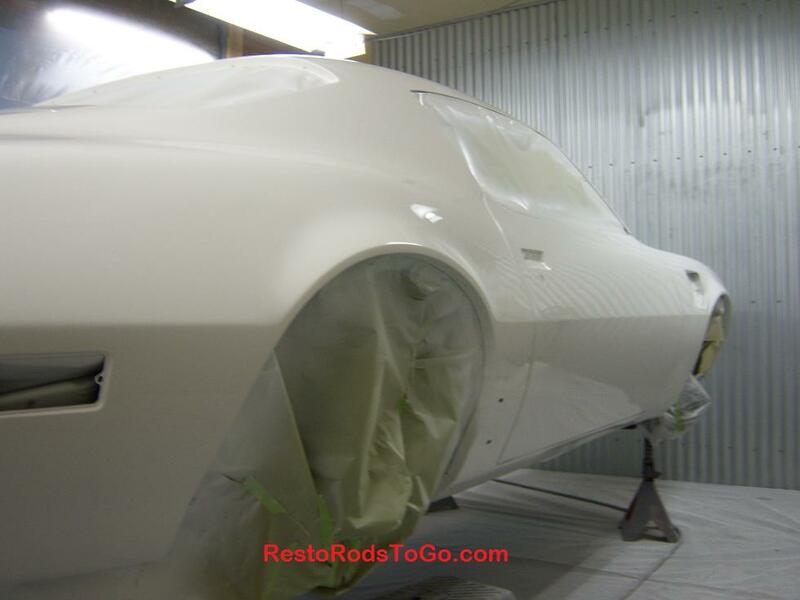 It's been rescued now and will be a very nice example of the last of the muscle cars. 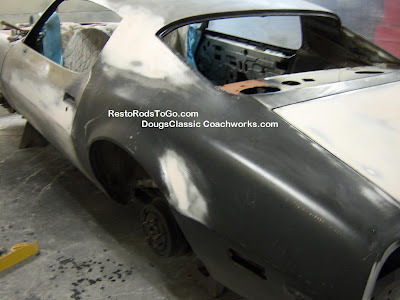 "Doug, that poor car looks nice on your blog. It's hard for me to believe how bad this car actually was, but I am excited to see it after all your skills have been applied. I am very thankful that you chose to take this job.... So, Thank you! Talk to ya later, Scott"
Scott has the mechanicals looking great. He's installed the new engine he's built and he's done a great job on the chassis. Attention to detail really sets it off. 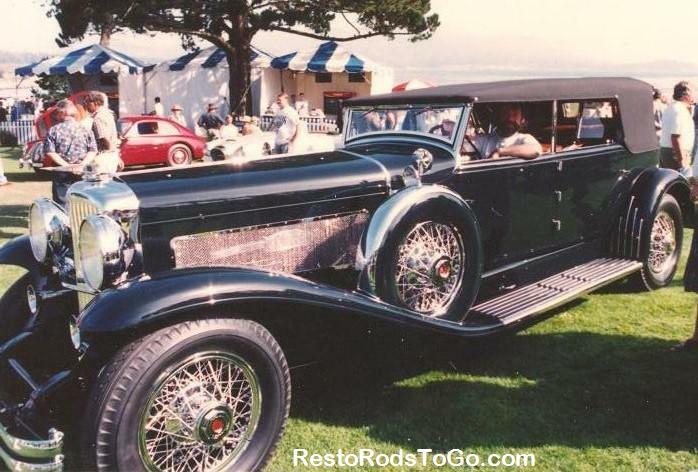 Duesenberg was the first production built automobile that boasted the ability to maintain 100 miles per hour. 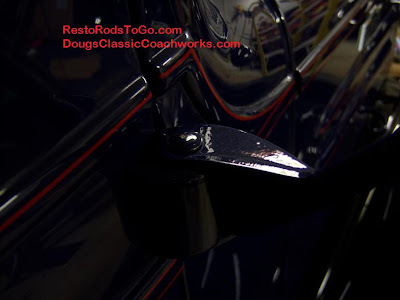 This custom coach built Murphy Bodied Convertible Sedan is one of three bodies built in this configuration and one of only two remaining. The other one is a Packard. The thing that is most unique about this car is that a tray folds out of the back of the front seat and a windshield folds up for the rear seat passengers. A car of this size and length, undoubtedly allowed a lot of wind to hit the rear passengers, so it was a real advantage to have a windshield for the rear too. Dual Cowl Phaetons were fairly common in this era. 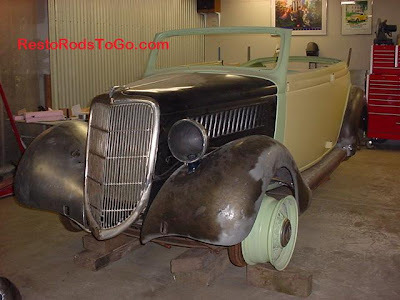 The dual cowl would also have a windshield for the rear, but it wouldn't stow away in the back of the seat like this Murphy bodied convertible sedan. 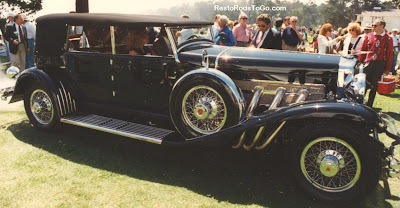 The difference in a convertible and a phaeton is that the convertible has glass side windows and the phaeton has snap on curtains on the side. 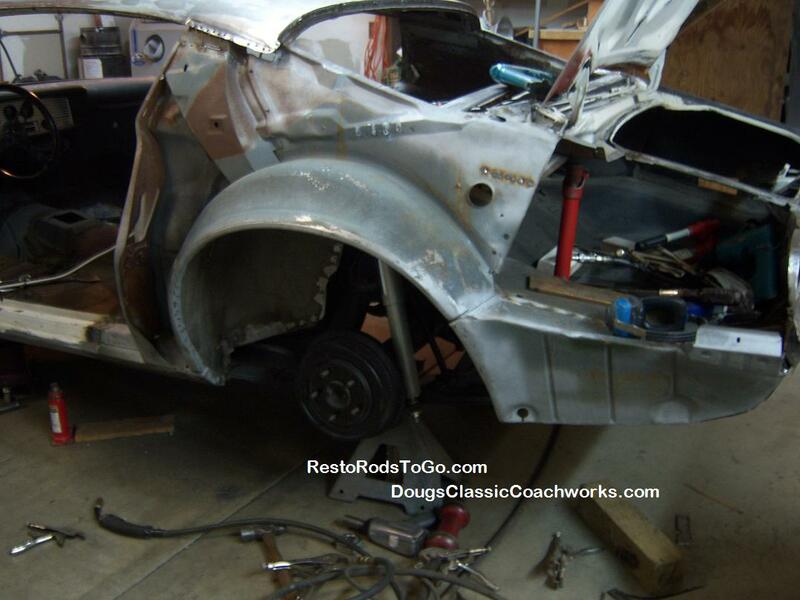 We rebuilt all the wood in the body of this car with the exception of most of the door wood. There were quite a few parts missing from the top and fortunately I was able to see pictures of the Packard in order to copy the design of the missing parts. Actually, I remade all the irons in the top including one of the top bow mechanisms that was missing completely, because the originals were so damaged from careless re chroming. This picture was taken of me sitting in the car at the 1993 Pebble Beach Concours d' Elegance. It was quite exciting at the end of the awards ceremony because the judges had a very hard and time consuming decision process for the Best of Show Award. They went back and forth between this car and Ralph Lauren's Mercedes, numerous times before making the final decision to give the award to Ralph. This photo is quite a contrast to the photo that was taken of me in a pedal car, 40 years earlier. 1922 Kissel Speedster sheet metal restoration. There wasn't a lot of the rear body that was reused on this car because a good portion of it was rusted away. 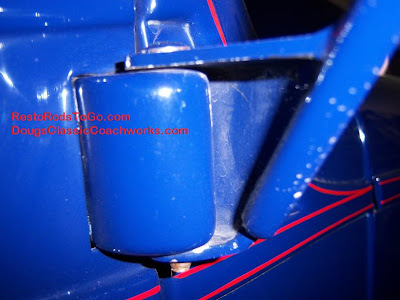 It was easier and far better to remake the pieces on top, between the lids and at the rear of the cockpit too. 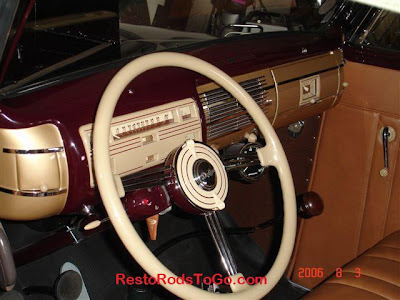 This car has some of the more unusual features of any classic car. This is a boat tail speedster, and in it's hay day, it was very fast. It would do 75 miles per hour. The car had drawer seats which I have never seen on any other car. The rectangular holes in the side of the rear body is where these drawer seats slide out. The rear passengers could sit on these seats and rest their feet on the running boards. They had to be very trusting of the driver, that he wouldn't brush up too close to a tree as he was speeding down the road. 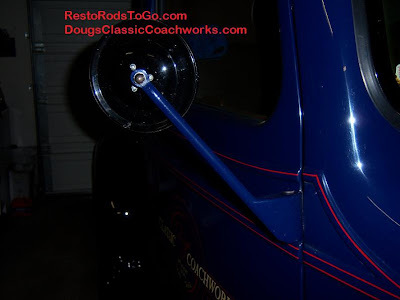 The Right Mirror arm for 1936 through 1938 Chevy Pickup Truck is very rare. I have only seen one original on e-bay, and it had been chromed. The detail was lost on that one. They are next to impossible to find. I bought a reproduction when I was restoring my truck. I mounted it on the hinge and sat in the driver's seat. I then realized that the arm was curved forward so much that you could hardly see the mirror. In attempting to straighten the built in curve, it snapped off. I was actually relieved that happened. 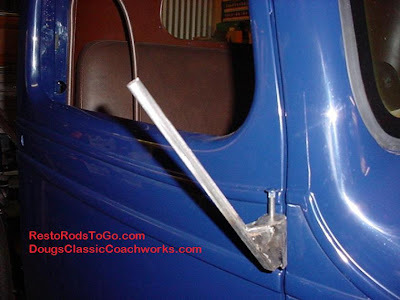 It made me nervous to mount my original 1937 Chevy Pickup Truck mirror on that cheesy pot metal arm. I knew that a slight bump against it could end up with my prized mirror head on the ground in pieces. 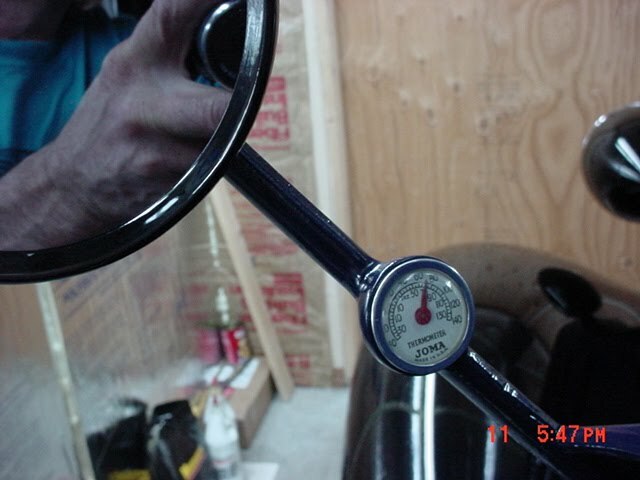 I knew at that point that my original 37 Chevy mirror would be mounted on a steel arm, like the original, and not some brittle pot metal reproduction. 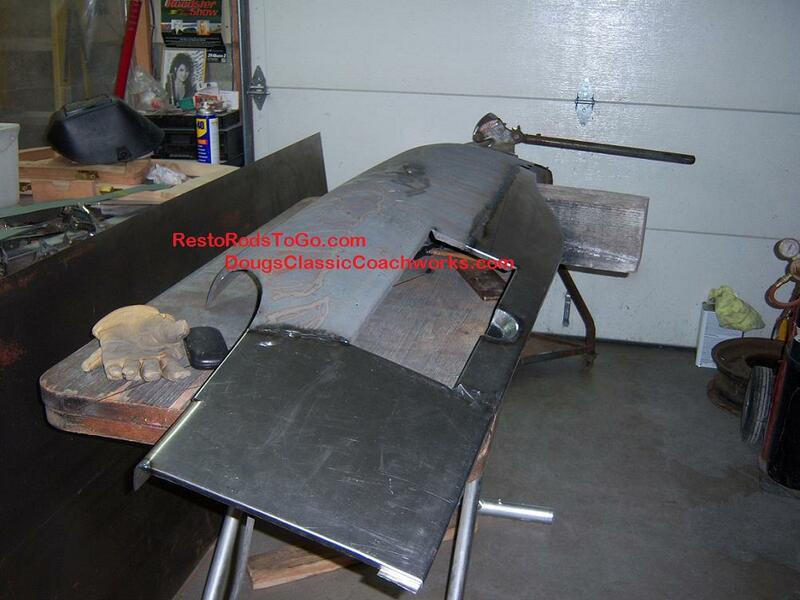 I started with a piece of re-bar and some flat stock. I chose the re-bar because by grinding off the cross hashes, I ended up with a piece that looked like it had cast lines up and down both sides, just as the original has. 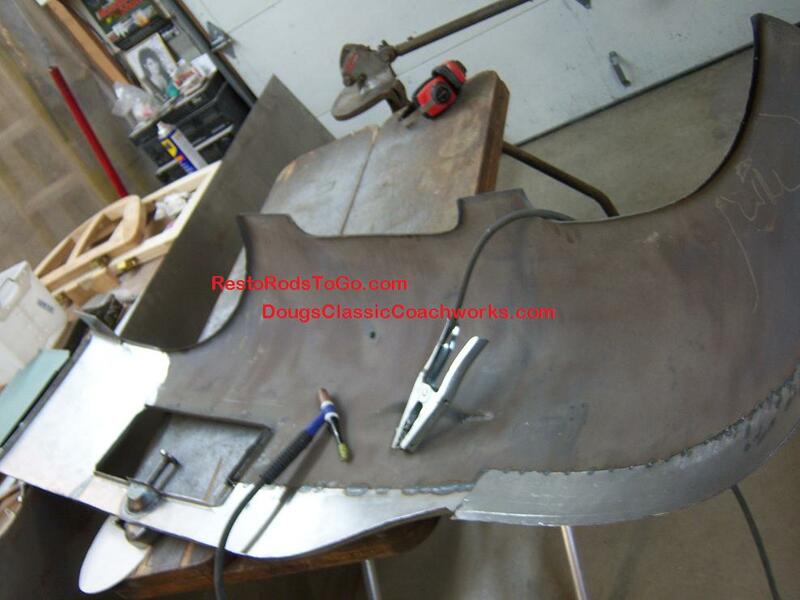 I shaped and welded the flat stock together to fit over the hinge, like the original and welded the rebar piece that I had carved on, to the formed piece that I'd made from the flat stock. I ground the top of the formed piece so that it looked like the cast line extended onto that piece just like the original, and made a round piece for the mirror head to bolt to and welded that on. Now it was time after grinding, filing and sanding the piece to do the finish on it. I surfaced it with primer surfacer and sanded it. I then primered it again using very low pressure so that the primer went on with a texture that made it look like a cast piece, just like the original. After that was dry, I took a little angle grinder with 50 grit and brushed it across my casting lines, just as the original was. After that, it was sealer and topcoat. The only way to detect that it is not an original by looking at it, is that it doesn't have the casting number 592146. On the dark pictures, notice the textured look in the finish and the grinder marks on my casting lines that I created. I added some interesting photos to this earlier post. 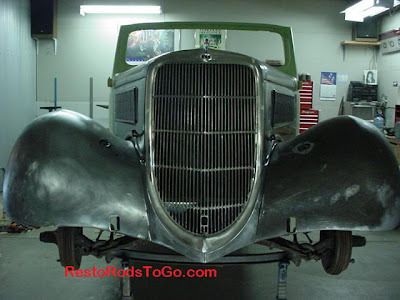 I located a picture of the Seibert Custom stretched 1936 Ford Sedan Delivery and a photo of a Cunningham Towncar that looks somewhat similar to the Custom Coachbuilt Towncar Delivery that we are building. Well it goes with the dash trim quite well doesn't it? 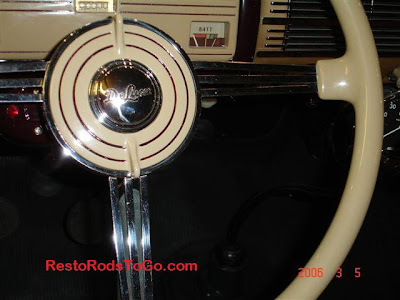 This special steering wheel was not offered by Ford in 1940 but was offered as an accessory for Chevrolet in the 1940's. 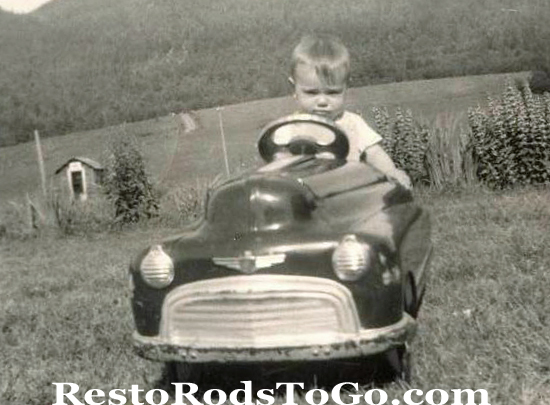 We started with a 1937 steering column because it was the first year for the roller bearing steering cluster. There was a number of slight modifications to put this whole thing together, including the mount to the frame, the mount to the dash, the indent for the steering lock, the key way cut in the steering wheel, the ball bearing support for the upper shaft, the special one off ring to adapt the light switch knob to the wheel, and the tweaking of the 1939 horn button to make it work in the 1936 knob with the 36 ring. I painted the light switch knob to match the rest of the knobs and painted the wheel hub to match the original 1940 Ford dash color. The whole thing works well, just as it would if it had come from the factory this way. Easy you think? Give it a try! 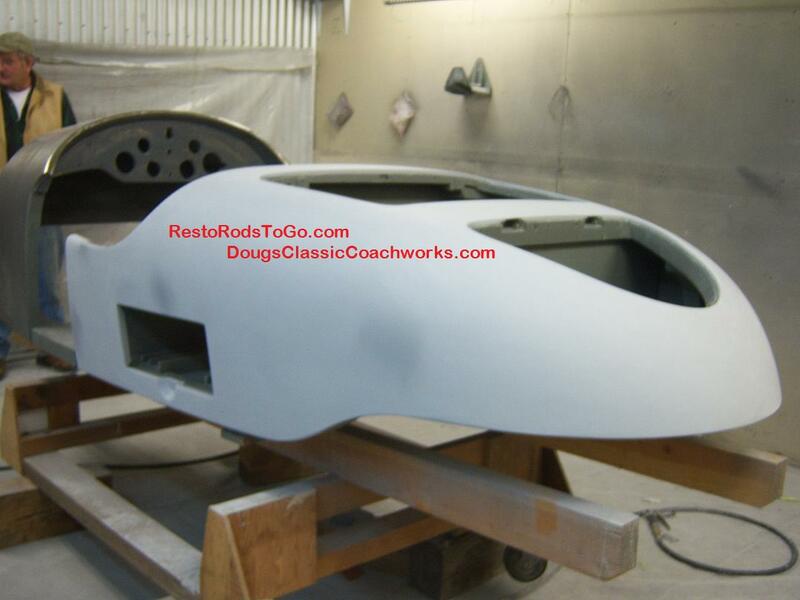 Oh yea, and the recasting of the wheel ring to make it match the color of the original 1940 Ford knobs that required about as much tweaking to make them support the functions of this 1958 period correct hot rod. Yes we had the knob of the turn signal switch recast as well, so it would match the knobs on the dash and window cranks. 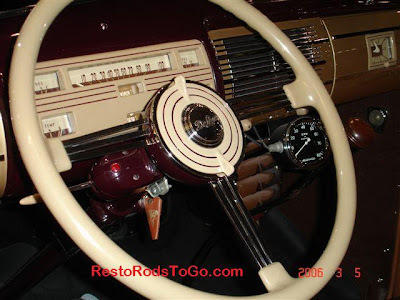 For those of you not familiar with the early Fords of this era, the beige color part in the middle of the steering wheel, with the red stripes, is the light control knob. It controls the switch at the other end of the column by a shaft that runs down the center of the column. 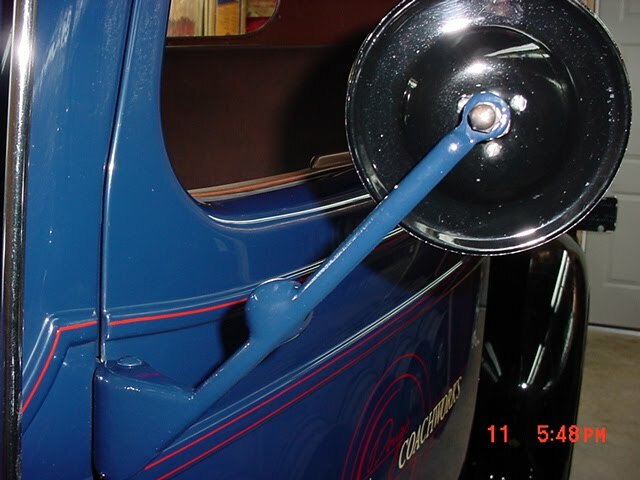 In 1941, Chevrolet introduce recirculating ball steering in the commercial line. This upgrade made the steering feel like Power Steering in comparison to the earlier steering box. It is a bolt in conversion basically, although the steering wheel is different on how it mounts. Keeping the original wheel is important. 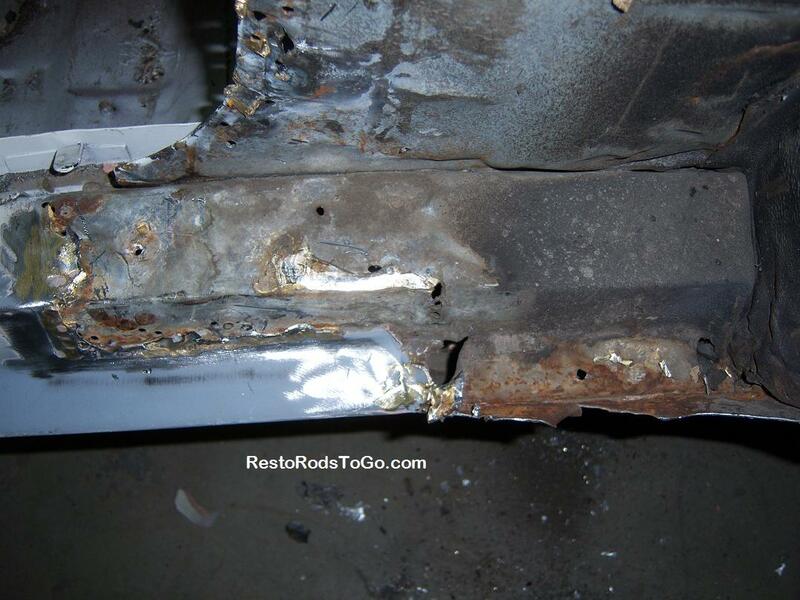 This problem can be corrected quite easily, provided you have the welding skills and take the time to set it up correctly, so that the steering wheel ends up in the right position when the wheels are pointed straight ahead. Another one of the unfortunate things about the early steering, is that there was no adjustment if your steering wheel didn't line up. I actually remedied the problem of adjustment too. You may have also noticed that originally, the steering wheel is in your face. This can also be relieved somewhat without making it obvious at the same time you are doing your upgrade. These steering columns are getting harder to find, just as is all the desirable vintage parts. I have collected all the parts required to build a NOS steering cluster, and have a nice used assembly to build it in. It's available, if you have a worthy project to use it in. Check out the pictures of the finish product and the way Craig Thomson, with the help of Crystal, makes my work really look good! 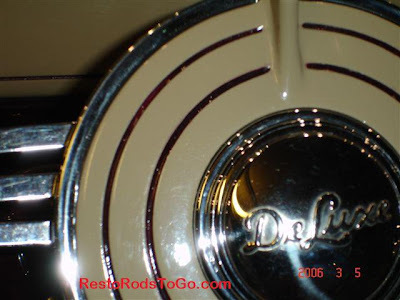 A reader wrote in asking for information on how I installed the 1940 Ford dash into the 1936 Ford Cabriolet. "Just found your website and am interested as I am building a 36 Ford sedan delivery. 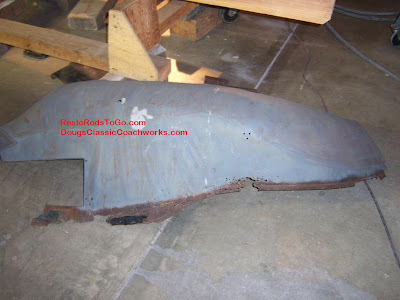 I had to piece together a 35 Ford four door sedan from the B post forward and used the delivery body from the B post back. 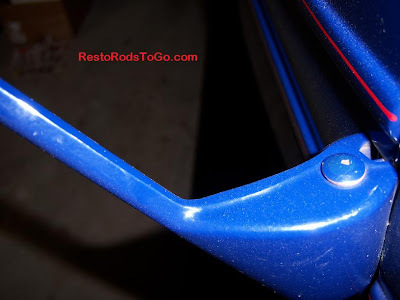 This modification uses the steel post from the Ford four door and only required a slight modification of the post casting. 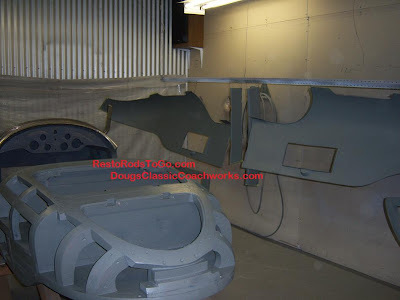 This past weekend I managed to find a 40 dash and wondered if you used the front section from the 36 cabriolet dash when you installed the 40 dash in the 36 cabriolet. I am building my delivery with a reproduction 40 wheel and the swans neck floor shifter and with the 40 dash I hope to achieve a look similar to the cabriolet that you built. Any info will be appreciated". Yes I did use a small portion of the cabriolet dash. I actually used the ends and top. You of course won't need a cabriolet dash. They are very valuable and it is different than the sedan dash. If I may suggests also, it would be much better to get an original steering wheel rather than using a fake. I try to always use real parts as the fakes almost always look like fakes. 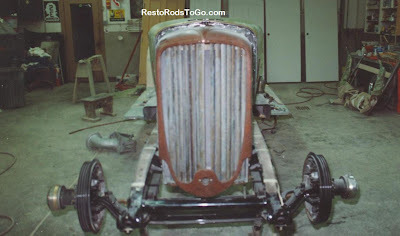 I have built a lot of 36 ford bodies and have a lot of information on building a very functional and refined restorod. The list of modifications required to build that 36 Cabriolet that is on my web site is as long as your arm. The fact that these mods are not obvious is what I pride myself on. 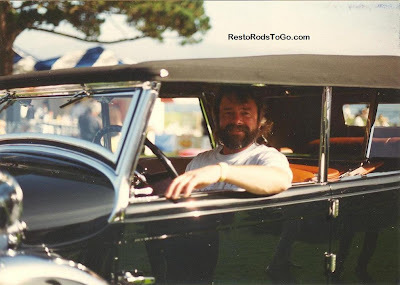 My good friend that influenced the design work and technical information on the Cabriolet and who actually owns the towncar delivery, has a huge inventory of 35 and 36 parts. He has been an avid collector of those parts for over 40 years. If you are needing parts, we can probably satisfy your needs. This 1936 Ford Sedan was transformed into a 34-35-36 Humpback Phantom Convertible Sedan. It had a great platform with only a few minor pinholes in the floor pan but had been hit very hard in the side. 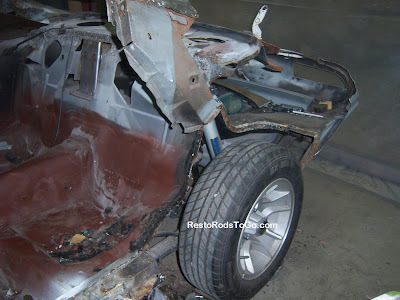 My friend Larry had a convertible that was in pretty bad condition so we decided to build a Phantom Car. 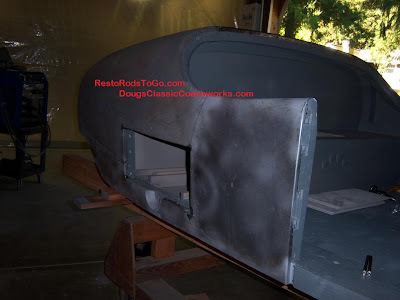 We took 2-1/2 inches out of the running boards, used the bottom of a 1934 Ford Grill on the 1935 Ford Grill, reshaped the front portion of the fenders as well as reshaping all the fenders where they meet the running boards, and added onto the front inner fender aprons to fill the area under the grill. 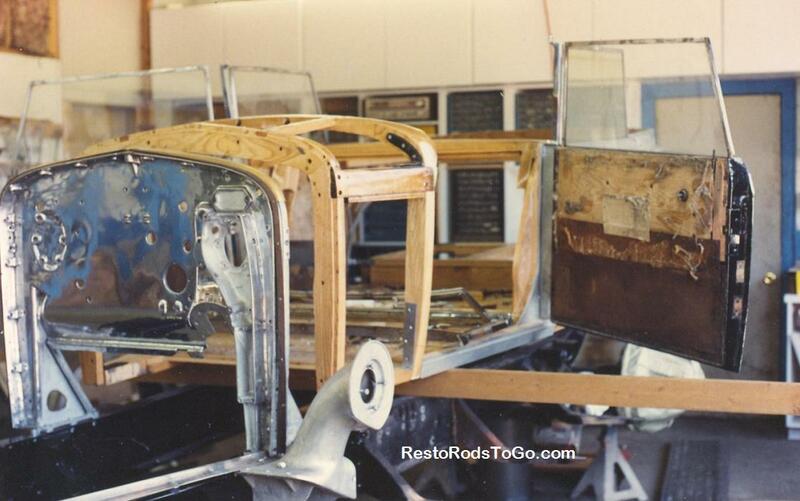 By using the upper cowl/windshield frame, doors, B and C pillars, we had the makings of a real convertible. Yes it is a one of a kind. The convertible windows will function as well. 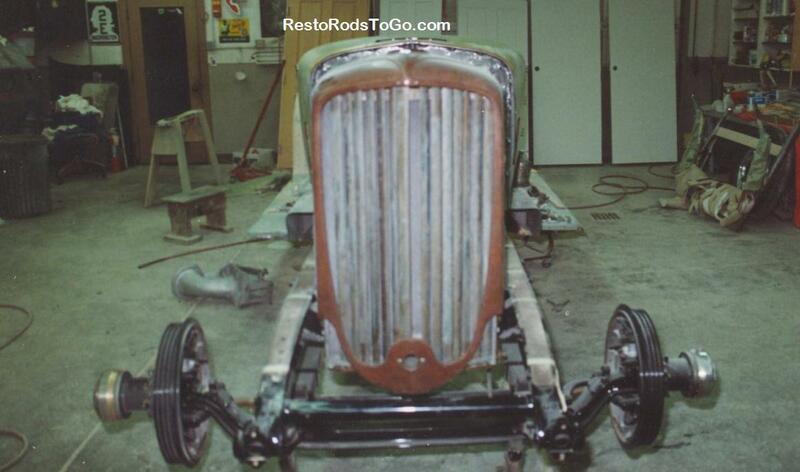 The picture on the bottom is a 1935 Ford Grill before modification and after, with the 1934 bottom fit onto it. 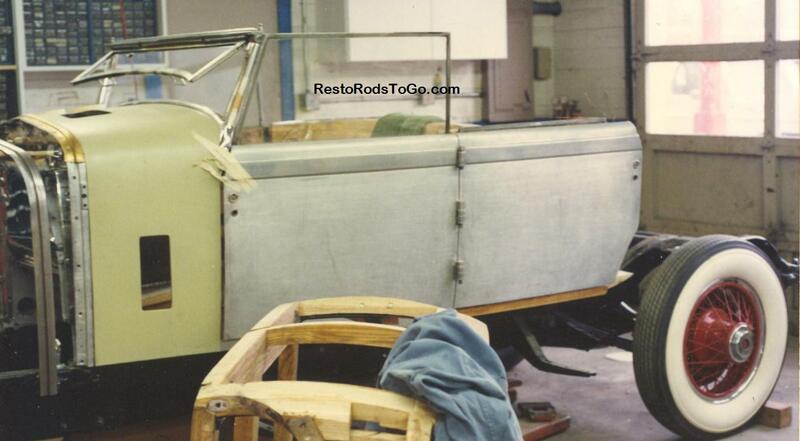 This project is currently on hold because we are concentrating on his Custom Coachbuilt Towncar Delivery.